Joey of Artisan Events created this gorgeous bouquet for Amy's summer wedding in Palm Springs. 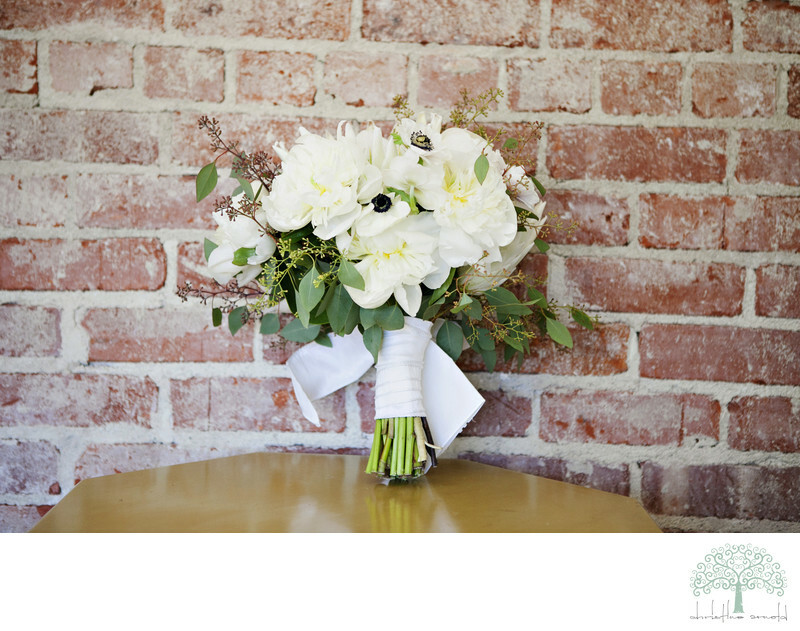 Amy wanted simple and elegant and I think this bouquet is exactly that. Using white Peonies, which by the way are the size of your head! Anemones, which I always think are so striking with their jet black centers .... all bound together with a simple and clean white ribbon. Amy wanted her grandmothers ring incorporated somewhere on the bouquet, so Joey easily added that so that Amy could carry it with her securely down the aisle. I wanted to focus on the beauty and simplicity of the arrangement, so I stood it up against a contrasting color, but still very simple backdrop to highlight the bouquet and nothing else. Keywords: Anemones (3), Anemonies (3), Artisan (42), Artisan Events (45), Bouquet (6), Flowers (9), Peonies (3), Wedding bouquet (3), white (3), white bouquet (3), white flowers (3).